Hi everyone! I have officially made it out of Maine and am NC bound! We spent last night in Connecticut and today will be our biggest day of driving. Today's agenda includes getting through the New York City area... I'll let my dad handle the driving for that part of the trip since he's a native New Yorker. ;-) Tonight we'll be crossing the Mason-Dixon line and staying in Virginia, and then tomorro it's onto North Carolina! 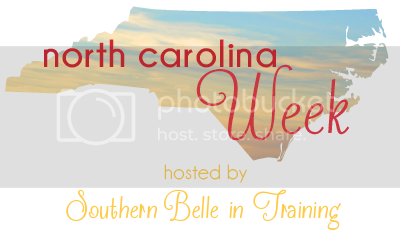 Today's guest post is from one of my new favorite NC bloggers, Pamela! 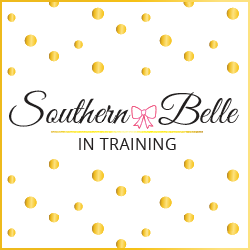 I fell in love with her blog from the minute that I started reading it. I asked her to post about some awesome day trip destinations state of North Carolina, and I was thrilled that I recognized the names of many of the places in NC that she wrote about- means I'm getting used to living down South and that makes me happy. :-) I'll let Pamela take it away now! Hey yall! I'm Pamela & blog over at Pamela's Place! First off, I want to thank cute Miss ALK for letting me take over her space for the day! Isn't she the cutest & sweetest!? My husband & I live in the western part of North Carolina with our cute Yorkie, Bentley! Life has been crazy for us lately, so a few weeks ago we had ourselves a little staycation! Today I thought I would share a few of our favorite spots in NC, in case you're ever over this way! We live in a beautiful state, & there is a lot to do & see! If you're ever in the mountains, make sure you go during the Fall season! Yall. The beautiful colorful mountains are unreal! I look forward to seeing them every year. I don't think I will ever get tired of it! It doesn't hurt that Fall is my favorite time of the year! 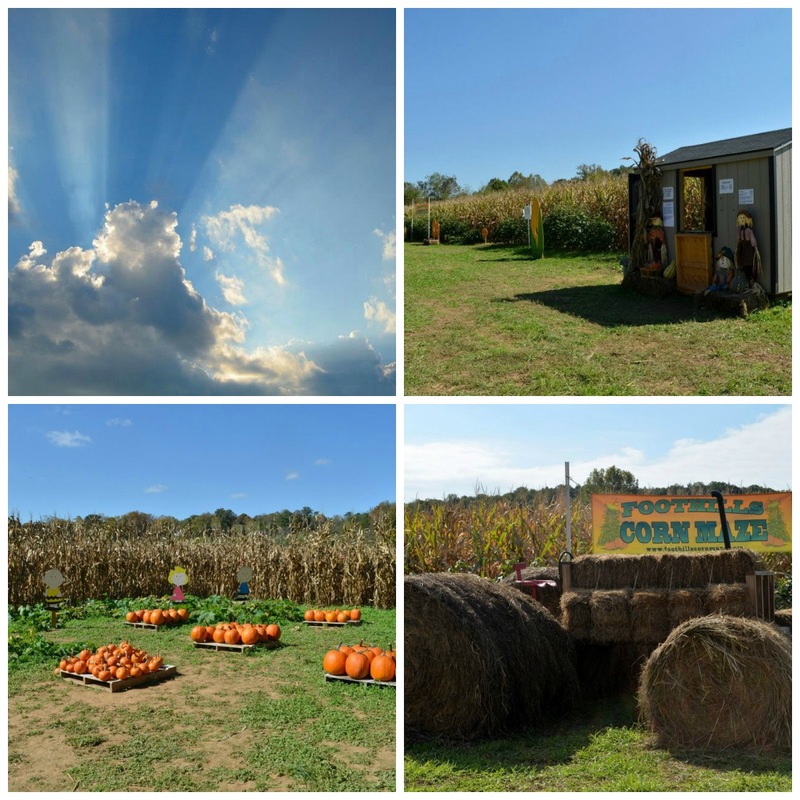 Also, we are part owners in a local corn maze (whoops, shameless plug)! 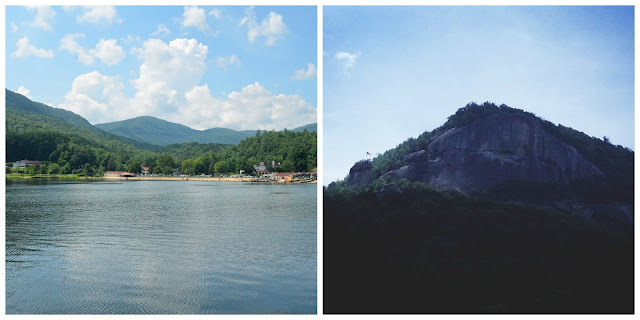 If you travel a little further on down, there are great places like Asheville & Lake Lure to visit! Asheville is a big tourist town with a ton of things to do and a variety of yummy food to eat! You never know what you may see downtown! The famous (gorgeous & huge!) Biltmore home is also nestled in the mountains of Asheville. About an hour from Asheville are Lake Lure & Chimney Rock. Some of Dirty Dancing was filmed at Lake Lure! 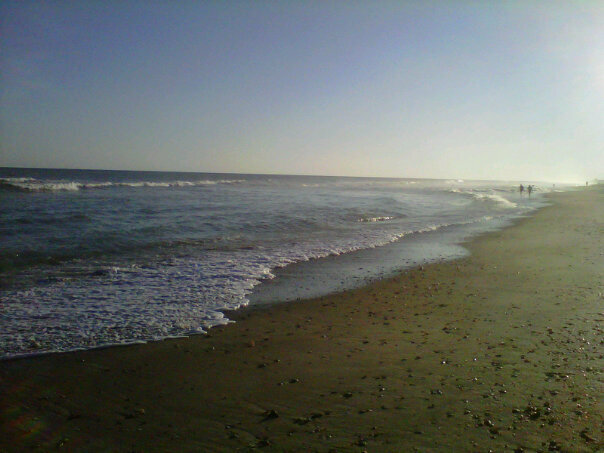 Now if you are wanting a beach vacation, instead of a day trip, the NC coast has some great beaches! From Oak Island to Wilimington to Morehead City to the tip top of NC at Currituck! There are beautiful lighthouses to go & see too! On our honeymoon, we went to Morehead City. It's very close to Beaufort, where there are wild horses to see! It's such a beautiful & peaceful area! Thanks for letting me take over your lil space for the day! Be safe traveling! My first week of driving lesson, the coach expected me to drive the car out of its spot on the street. But then he had to drive us a few blocks away where it was less traffic. Greek life is around the corner! Y'all better be watching the VMA's.